Harper is the length of a banana now. I feel like I am sooooo big right now. I keep asking Scott how I will get any bigger and then he reminds me I still have another 20 weeks to grow. OH MY! 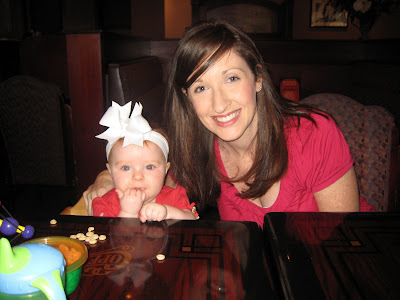 Today I got to have lunch with a sweet friend, Amanda, and her cutie pie daughter Neely. Neely was so sweet during lunch. She just smiled and cooed the whole time. I hope she and Harper can be future friends. I just LOVE having lunch dates with friends. I got tickled when I got home tonight because my mom sent me a big envelope and inside was no note.......just a bunch of pages out of pottery barn kids. ha! I guess she is trying to suggest ideas for the nursery. I have it ALL planned out. Later this week - I'll share the beginning stages of it. I also got this precious onesie from Megan. Isn't this the TRUTH? If you like this onesie - you can find other precious ones like it at www.blessedbabycollection.com. Faith is being sure of what we hope for and certain of what we do not see. Hebrews 11:1. That is my prayer for each of you who are waiting for your baby - be SURE of what you hope for!!! Dont worry about getting bigger... Just think it's all about Harper! Love that onesie Faith! It's what it's all about. Without faith and his Grace we have nothing... We are all so blessed. You look awesome and enjoy that belly! you look great! just had to tell you I made your lasagna cups tonight and they were a big hit with the hubby! thanks for posting the recipe! I love your latest pic, you are looking so cute! The faith onesie is perfect, I love it! I am excited to see your nursery ideas!! I'm so anxious to see your nursery plans!!! You are not big at ALL--you look GREAT pregnant...and will all the way up to delivery! I just found your blog a few days ago on google reader. First of all, you are adorable! Second of all, the last few sentances of your post today made me bawl my eyes out. My husband and I are struggling with IF and these past few days have been especially hard. Today I felt completely alone and at the end of my rope. It's nice to know that there is a light at the end of this long tunnel. I can't believe you are already halfway there! That's crazy! And you wonder how you will get any bigger...I remember that feeling. It's a crazy thought! Are you feeling her move around a lot now? I got to meet Kristen and her mom that you met a few months ago. They were at the Siesta Fiesta. There are pictures on my blog. You look SO cute and you are not big at all!It's so crazy to think in 20 more weeks Harper will be here! Yay!! I love the onesie! What a perfect gift for your girl!! 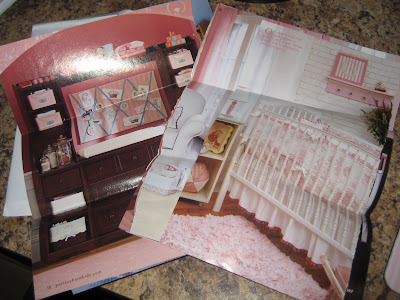 I can't wait to see what the little princess' room will look like!! You are NOT big chick! You look awesome! Harper is going to be one cute little lump of love! I can't wait to see pics of the nursery! Your mom has great taste! You look so cute... just think - you think you grew a lot this 20 weeks, wait til you see how far that belly can stretch in the next 20! It's AMAZING!! I remember thinking i was huge at 20 weeks...NOW i'm huge!!! That changing table system in pottery barn kids it what we had made for Kaleb's nursery. We LOVE it and would highly recommend it!!! You look adorable.... And, seriously the nursery is going to be so gorgeous it will be featured in a Pottery Barn catalog! Embrace this special time of pregnancy and don't worry about size ~~~ especially looking as great as you do! you look great. i thought you were holding a toothbrush at first. i'm wondering if you are going to be holding a watermelon one day! Oooh, I just got my Potter Barn Kids catalog today. I love the new stuff. I had to throw it away so I'm not tempted to buy. But their website seems to be addicting too. Big?? No way. You are definitely not huge. I was huge. I couldn't even drive the last month! Ha! You are so cute. I can't believe you are half way there already. Wow, time flies. A banana, huh! How cute! You are NOT too big..enjoy it. Although, I think I enjoyed it too much the first time..I gained a lot and was big FAST. The second time..I was wearing my maternity clothes by 8 weeks along...so dear, you look wonderful!! You are also blessed with an abundance of great friends. My goodness, I wouldn't know what that is like to have a lunch date w/ a different girlfriend so often. You are one cute pregnant girly~~ let me tell ya!! Can't wait to see pics of the nursery!! Love the onesie too! I also can't wait to see the beginning stages of the nursery!! Have a good Tuesday! Hi, Kelly! I found you through Google reader's recommended blogs section and love hearing about this exciting time in your life. 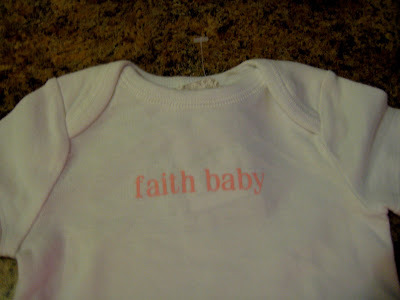 The faith onesie is one of the cutest things I've ever seen, and it's so perfect for Harper! Oh, I love that onesie! Ava has a "blessed baby" one that we loved! You are looking good. Can't wait to see what you have planned for your nursery! I love the pages from the pottery barn kids =) Very Very CUTE!!!!!!!!!! I can't believe you are already half way!!! It goes by so fast but I know you are cherishing every moment ;)! Your mom is so cute sending you all of those pictures. Little Harper will be surrounded by nothing but love! I can't wait for the Hogs to take the field on SAturday! Todd and I already have our "game plan" for when we will watch! I also love cheering for my OSU Cowboys (sorry, big 12) and pro-football on Sundays! You guys will definitely have some good snuggle time during the playoffs this year!!! 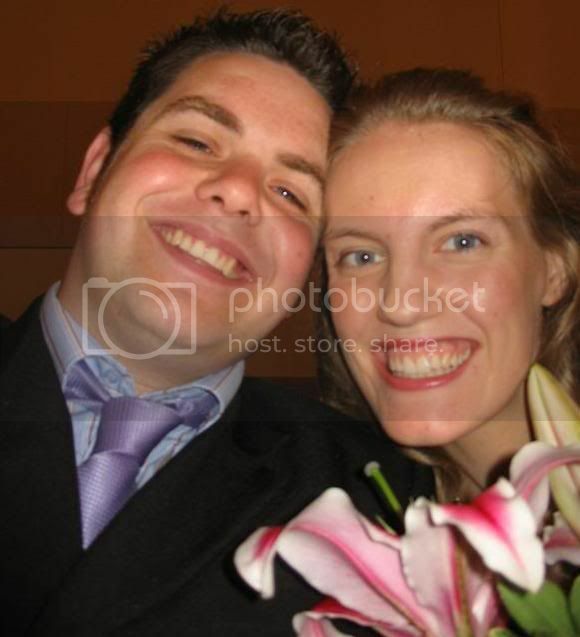 Kelly, you look so cute! I think that is so sweet your momma sent you those pages! Precious! You look great K...can't wait to hear all of the nursery plans & see what J paints for H!! So glad we got to have lunch this week!! !